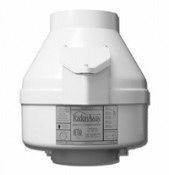 We are helping dozens of homeowners every month to install radon mitigation systems that are successful. Not only are radon levels being reduced to safe levels, but with our guidance, systems are being installed to mitigation standards. Which translates to safe and energy efficient systems all over the United States and Canada. In an effort to encourage others and to provide alternative approaches and ideas I would like to show case your projects. I'm not just looking for a "thanks Val for all the help", but would like to hear your insight and ideas that you learned installing your radon system. Having been involved in the building trades for most of my life, I'm always amazed by what I continue to learn as I help those to install their radon systems. So brag a bit and send me a photo of your work too. I will respect your privacy or I can include your name if you want me to. Detailed submissions will end up with their own web page. Which you can link to and show off to your friends and family, if you'd like. 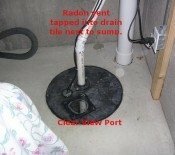 Please share your radon project with others! Your testimonial is not just for us but will provide help for others to confidently tackle their own mitigation. So share your insights and knowledge.